Acquired by Parks more than 100 years ago, Chelsea Park remains one of the most popular and widely used parks in lower Manhattan. With basketball courts, baseball diamonds, handball courts, multi-purpose asphalt surfaces, and plenty of space to sit down and take a break, be sure you bring your best game. The park has a strong place in the history of the neighborhood. 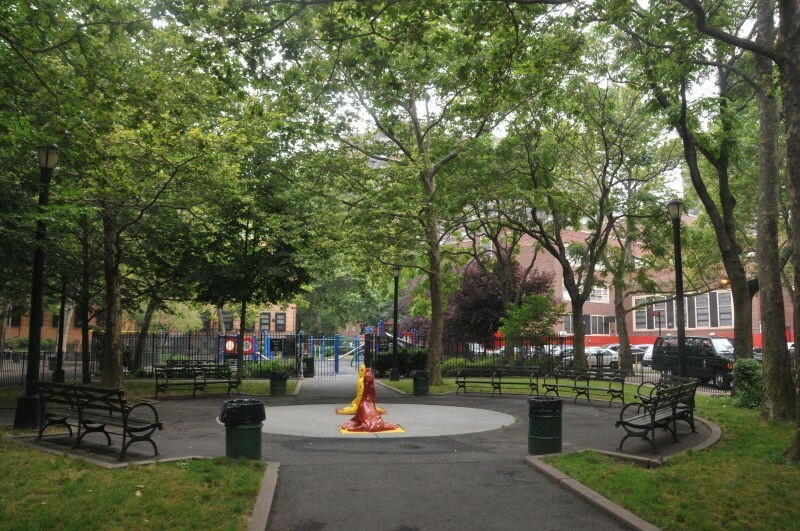 Its first playground was built in 1910 and designated as an open space for the residents of the crowded tenement district. In its early days, the newly formed Board of Recreation organized competitions that drew thousands of spectators and participants. 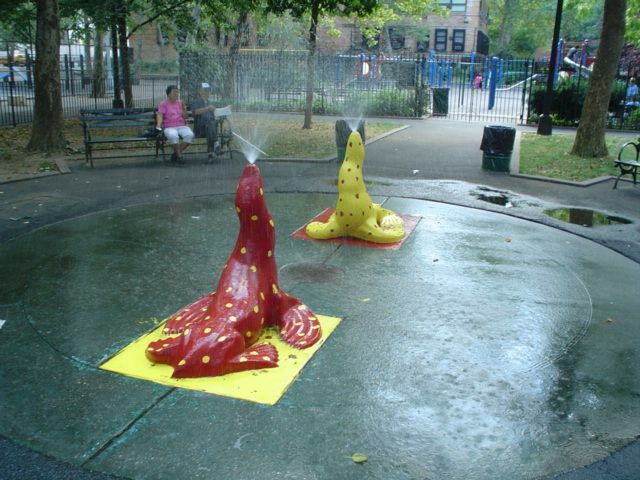 It was in this hub of activity that the Chelsea Memorial Committee donated the centerpiece of the park, the World War I memorial known as the Chelsea Doughboy Statue, which still stands today.